First, make sure it’s showing. In the Finder, with a Finder window active, if the View menu has a Show Sidebar command, choose it. (If it says Hide Sidebar, the sidebar is already showing.) Or, when you’re in an Open or Save dialog, click the sidebar button (it’s in the dialog’s toolbar) to show and hide the sidebar. By default, the sidebar shows a lot of items you likely don’t use. Turn off anything that’s unnecessary to make the sidebar shorter and more useful. 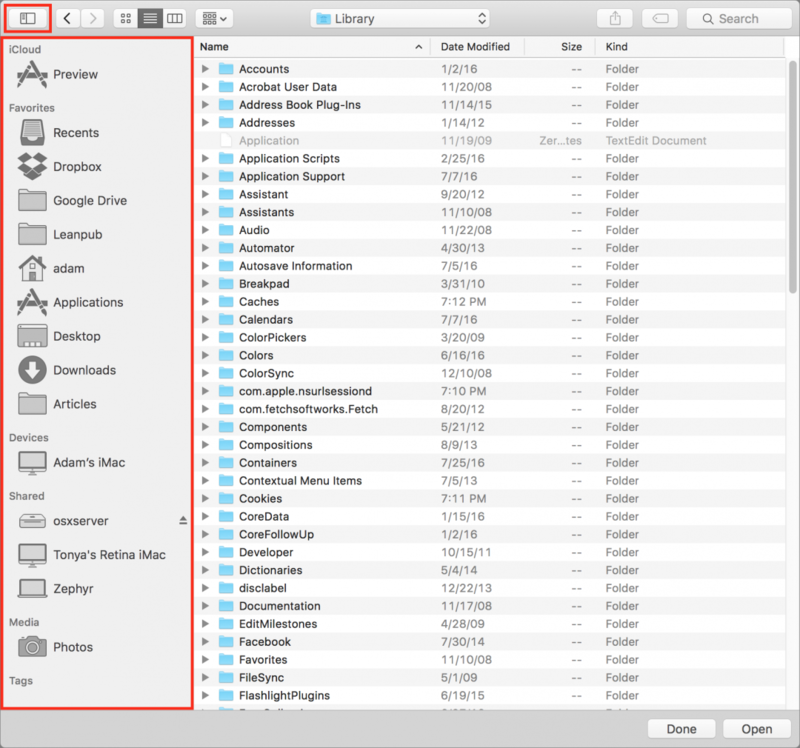 Choose Finder > Preferences > Sidebar to see four categories of sidebar items. Favorites are mostly folders, Shared items are networked computers and servers, Devices are hard drives and other storage devices, and Tags display recently used Finder tags. Be ruthless here and uncheck anything that you seldom use or don’t understand. To make the sidebar even more manageable temporarily, hover the pointer over a category label in the sidebar and click Hide when it appears. That category’s contents disappear, making what’s still in the sidebar easier to focus on; to get them back, hover over it again and click Show. 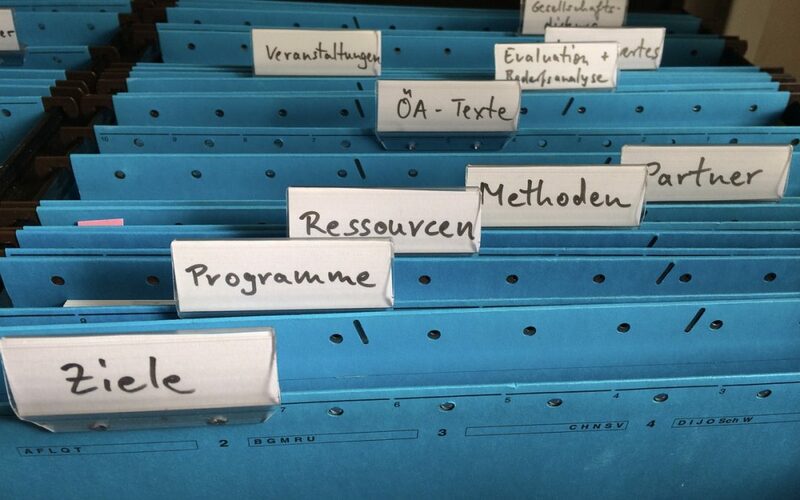 Don’t be shy about adding and removing folders; there’s no harm in adding a folder for a few days while you’re working on a project, and then removing it when you’re done. To remove a folder, Control-click it and choose Remove from Sidebar. The folder disappears from the sidebar, but stays on your disk. Once you have your sidebar set up as you want, make sure you use it! 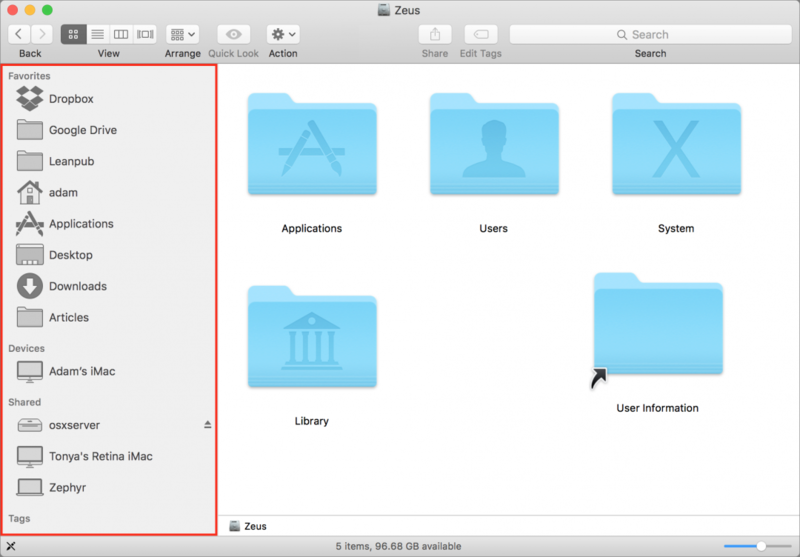 In the Finder, to open files, click a folder in the sidebar to display its contents. 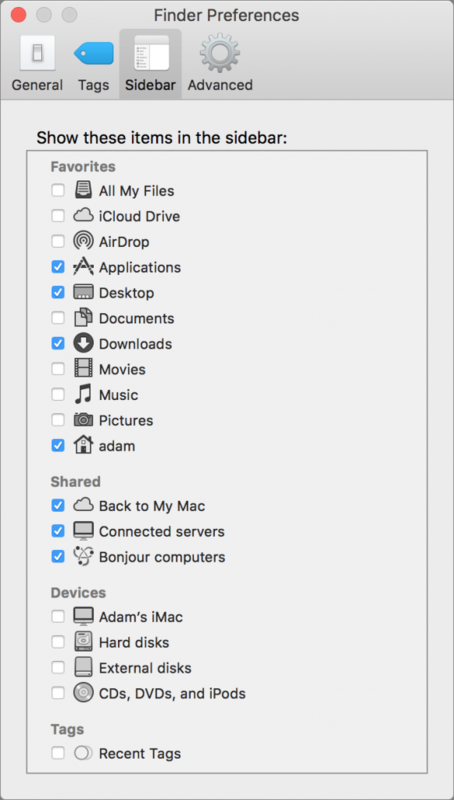 You can even drag files from one folder into another folder in the sidebar to move them—or Option-drag to copy them. 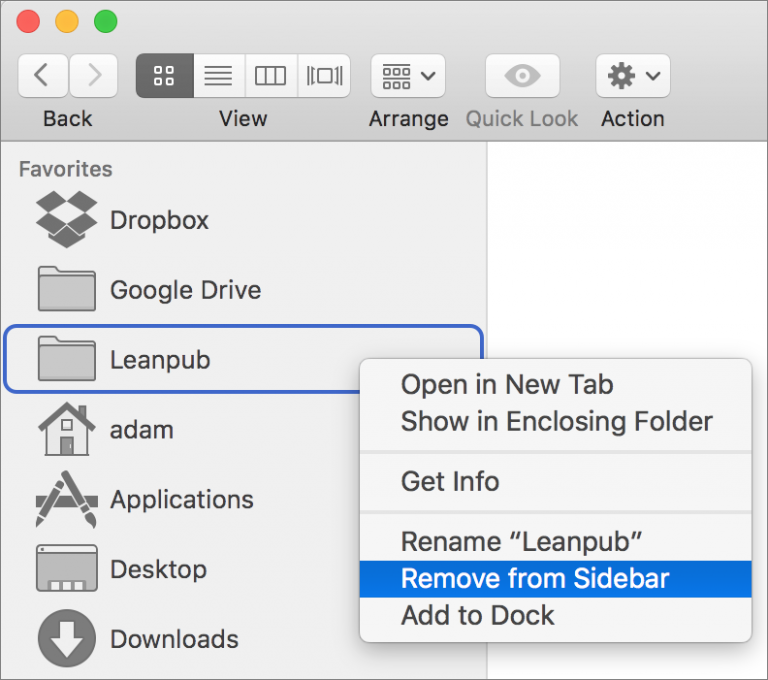 When you want to open a file in an app, choose File > Open, and in the Open dialog, click sidebar items to jump directly to those folders. The same goes when saving a new file; choose File > Save and use your sidebar to navigate to the desired location. iOS 10 changes how you use the Home button to unlock your iOS device from the Lock screen. Previously, you could unlock it by merely resting your finger on the Home button when the Lock screen was showing. In iOS 10, however, you must press the Home button and then use Touch ID to unlock the device. With newer iPad and iPhone models, Touch ID reads your fingerprint so quickly that you can usually press the Home button instead of just resting your finger on it. However, this new behavior may be disconcerting with early Touch ID-enabled devices, such as the iPhone 5s, which take longer to read a fingerprint. To revert to the previous behavior, go to Settings > General > Accessibility > Home Button and enable Rest Finger to Open.